Did you know that 6 in 10 people will keep and use promotional items for up to two years! Best promotional items are those that are useful and much up to the test of time. Not only can customers get a good use out of them, but they help your branding strategy. But what are the best items to invest in? What do your customers want to see from you? These are great questions that every company should be asking themselves. We’re here to give you the top five best promotional items that’ll bring in new customers and business! 1. Pens Are the Best Promotional Items! Everyone has a promo pen in their office or in their desk area. That’s because they’re useful promotional items! At some point, we all need to write down a note or to-do list. Having pens nearby is a must at any business meeting. If customers come in, they may need to file out forms, and you can offer a promo pen. Promotional pens are smart promotional items that last. Choose a tech-savvy stylus pen to engage customers online. They can use this to draw on their iPad’s or click away on their smartphones. Pack up on the tech gear. There isn’t a better way of bringing in new customers than showing them you’re tech ready! Think of what a customer uses in their day-to-day life. They use their phone, and some may have a commute to work. Work off this common knowledge. They’re going to want a way to charge their phone battery. Brand an extra power bank to give as a marketing giveaway! 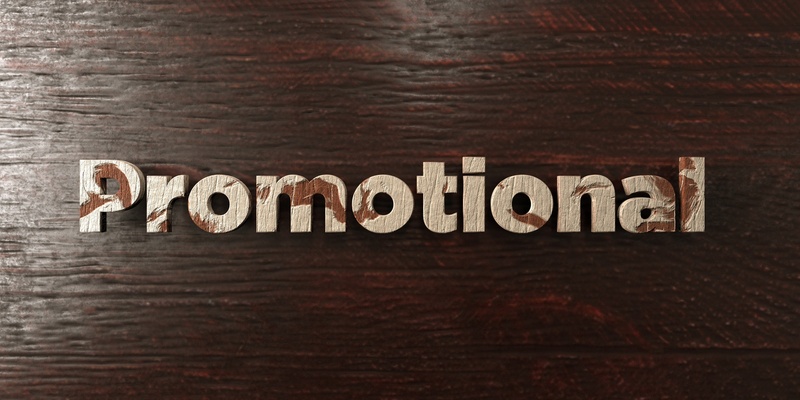 Promotional items are about important because of their usefulness! These bags offer a way to free up your customer’s hands. If you’re having a beach day, they can use this for their wallets or car keys. Plus, no one wants to get their phones wet! These bags are durable and waterproof. They last a long time so your brand name will get seen by many. It’s a comfortable bag that fits a lot of items for traveling, or hiking. Make traveling easy for your customers with this drawstring option! We’ve already hit on some tech gadgets, but how about phone cases. Customers are always searching for ways to protect their phones. Smartphones are like our precious jewels, they carry all our information. Making a cool, attractive phone case is a great way to entice customers. Pick interesting geometrical designs or an illustration of constellations in the galaxy. For sleeker phone cases, aim to brand solid colors like blank or brown. If you have a little extra spending cash and want to blow the socks off your customers, try fabric cases. Everyone needs water to survive. Many people travel around with a water bottle to stay hydrated throughout the day. Give them a leg up with a water bottle with your logo or brand name. It’s a win-win! Pick out durable water bottles like stainless with keychain attachments. These are durable, don’t have harmful BPA, and can attach to a backpack or purse. The best promotional items are those that help your customers and make life easy. Don’t invest in junk that’ll only end up in the trash bin. Instead, learn more about how to better your marketing strategies. We help you bring better success to your business!